The following are entries from my blog posted in early January of 2011. As usual, I've left out the irrelevant matters as much as possible, but have kept the content entries as they were, except for when I wanted to add or subtract something, including places where it was obvious that something needed correction or clarification. I ran across one fragmented sentence, for which I couldn't figure out what I had meant to say at all. Hopefully it just got amputated in the process of copying the material. (I'm afraid to go back to see what actually made it onto the first public version.) In short, it's the same, except where I've changed it. So, who were these "wise men" anyway? I'm intrigued by the fact that "wise men" has become the phrase of choice, at least among Protestants (or in German, die drei Weisen aus dem Morgenland), because it is so amazingly bland. (According to Roman Catholic lore, they were three kings, named Caspar, Melchior, and Balthazzar. The one whose picture is seen on the top right of this page is only rarely associated with them. His name is Fred, and just as with the other magi, not much is known about him.) Lew Wallace, author of the book Ben Hur (1880), which preceded the movie, goes to great lengths to portray them as three philosophers from three different ancient cultures, but, again, as entertaining as his characterization is, it has no foundation in the known facts of history. "Wise men" would not necessarily be the best translation for the Greek magoi, as it appears here in Matthew, or the Latin magi, by which we are used to refer to these men in the biblical context. There are a number of thoughts about them that come to my mind. Since Matthew just uses the word without any further explanation, we should assume that Matthew's readers were familiar with the term. Thus, we should look for some people in the concurrent time and culture as that of the gospel writer. In other words, it does not help us much to focus on the idea that they were one of eight ancient castes among the Medes, who were supposed to have specialized in supernatural knowledge and power. However that may be, the Medo-Persian empire had not been around for roughly 300 years and, therefore, the term must have acquired further meaning. The magi, whatever else we can say about them, were not particularly politically aware, at least of matters in "Greater Syria," which included Judea. To make their way right to King Herod's palace and ask him for the whereabouts of the new "King of the Jews" would have been akin to asking Stalin who would lead Russia after a successful revolution against him. If ever a head that wore the crown was uneasy, it was the one that fit snugly atop King Herod's torso. Herod was an Idumean, not a Jew, and he had been installed by the Romans, not the Jews, and if there is any consolation in the fact that everybody hated him, maybe it is in the fact that the feeling was mutual. Herod was quick to kill anyone whom he suspected of unfaithfulness or treason, a class of people that was pretty much identical with anyone whatsoever. He even killed his wife on the spur of the moment, though it is said that he regretted doing so afterwards. These kinds of atrocities were a routine part of Herod's life, and this one would not have stood out among all of his other misdeeds. The killing of one innocent child is a terrible thing. The killing of a hundred is monstrous. But Bethlehem was not a big town, and the number of children actually killed may have been as few as a dozen (which is still horrible, but sadly not all that unusual for Herod). One only wishes that there were more extra-biblical historical sources that give us information on matters in this detail. There were no daily newspapers, and the historians of the day, wrote selectively, as any historian would. And, oh yeah, there is at least one historical source for the slaughter of the innocents in Bethlehem, namely the book called "The Gospel According to Matthew." 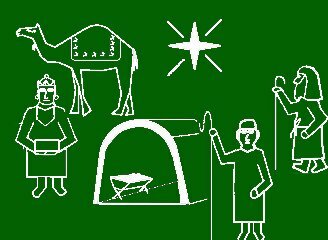 Anyway, these "wise men" either were extremely unwise, or they felt particularly protected by God; otherwise they could not have had the audacity to pay this visit to Herod. I have noticed that a lot of explanations of who the magi were, are pretty circular. The text tells us that these were people from the East, who thought that they were guided by a special star, and the commentary clarifies that these were people from the East (and then typically enumerates three of four possibilities) who studied the stars and, thus, were possibly astrologers. That's like some asking, "Who is this man, Obama, who was president of the United States in 2011?" and someone answering, "Oh, he was the president of the United States in 2011." I think that even to come close to understanding the identity of the magi we need to accept the fact that the term most likely bore several meanings over the centuries. In Acts 8:9ff we find the story of Simon Magus, Simon the "Magician" or "Sorcerer." Magus is, of course, the singular of magi. Thus one meaning of this term is that of "sorcerer." In that case we could have sorcerers from the East trying to find the newborn King of the Jews, which seems a little stark. 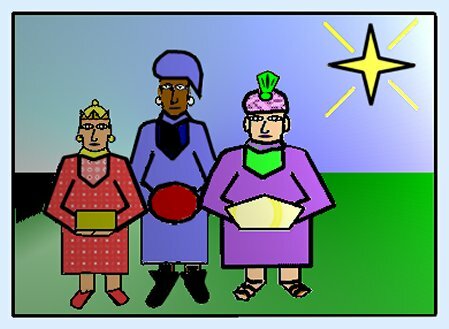 In a little more general understanding of the term, during the New Testament era and for a time thereafter, "magi" was used for people who had deep insight into spiritual matters and performed the occasional miracle. The word "guru" comes to mind, or--better yet--the term "avatar" in its original (and correct) sense. Simon Magus was called the "Great Power of God" by people, a term that virtually elevated him to the status of divinity. So, the upshot so far is that "magi" could be a fairly generic term referring to people with an unusual amount of supernatural knowledge or power. That's slim pickings; but to venture further requires a little bit of willingness to step out on a ledge. As I've tried to show, by the first century AD and afterwards, "magi" had become a fairly common appelation for "masters of the supernatural." But, as long as we don't allow ourselves to get carried away, we can maybe find some insight from the historical roots of the term. The origin of the term lies with the Medo-Persian culture, in which, apparently, the magi were a priestly class from the Medan side of the amalgamation. If we date the time of Zoroaster to the sixth century BC (as we should--see my article: "The Date of Zoroaster: Some Apologetic Considerations" Presbyterion 23 (Spring 1997):25-42 ), the magi had already been around as priests, and specifically in the Persian (Iranian) area, adopted Zoroastrianism and adapted aspects of the previous polytheistic religion to it. As always, when I begin to try to share technical historical matters with you, I put more on my plate than it is reasonable for me to write or to expect you to read in one sitting (not that I actually write things from off a plate). So, I will leave off here and pick up with the bizarre world of the magi next time. As you will see, the magi are a conspiracy theorist's dream. We were discussing the phenomenon of the magi who stopped at King Herod's to get directions to the new-born king of the Jews, which was, of course, the baby Jesus, about whom Herod had no notion. Given the ambivalence of the information I brought up last time, let's settle on the idea that by the time that Matthew mentioned the magi, the word had several ranges of meaning. In its most generic sense it could refer to someone who was an expert on the supernatural, a "wise man" in its most literal sense. Then it could also refer to someone versed in magic (and that word is, of course, related to the term "magi"
Perhaps, without losing too much generality, it could also refer to someone who pursues occult practices and astrology, since these are associated with sorcerers or magicians. But then there is also the highly specific meaning, namely a Persian, or, if we go back far enough, a Medan priest. Apparently, the magi were around already prior to Zoroaster, adapted their rituals to the highly syncretized Zoroastrianism which was popular during the time of the Achemenid kings, and maintained it underground until Zoroastrianism became the state religion of Persia in AD 226 under the Sassanid dynasty. Let me make a quick chart of these different eras. Monotheism. 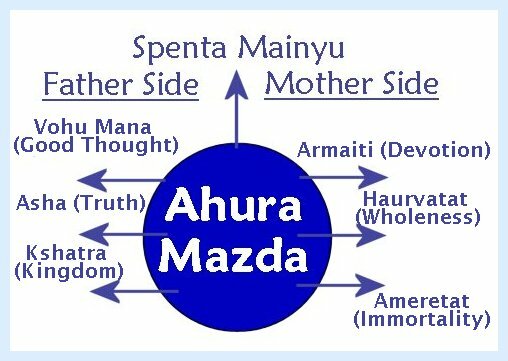 Moral Dualism of God (Ahura Mazda) with his seven Amesha Spentas vs. the evil spirit Angra Mainyu and the daevas. Achaemenid period, the time of the great kings: Darius, Xerxes, Artaxerxes, ets. Zorastrianism adopted by the kings and the people, but also included deities and practices from the pre-Zoroastrian times. Previous gods were considered to be high angels. Zoroastrianism disappears, religion centers on Mithra, a god of light. Zoroastrianism reappears, much closer to Zoroaster's teaching than previously. Ritual dualism. Zoroastrianism remains as a small persecuted minority in Persia; its majority emigrates to India, particularly in the area of Bombay. So, Zoroastrianism went off the landscape for a time, but when the Sassanid dynasty finally reestablished a Persian kingdom in the third century AD, they made Zoroastrianism the state religion. (This is also the time in which many Jews moved to Persia ("Babylon") after the defeats by the Romans and completed the Talmud, among other things.) So where was this Zoroastrianism hidden all of this time? Apparently it was the magi who kept track of the religion and its rituals even though they themselves did not practice it externally. They became the custodians of a moribund religion and obsolete texts, and it's a complete mystery why they did so. Later data show that at the time that Zoroastrianism was re-established in Persia, they were the guardians of its orthodoxy, and, subsequently, they also added numerous writings to the Avesta, the collection that serves as Holy Book in Zoroastrianism, a small part of which probably goes back to Zoroaster himself. Destruction of Persepolis in 330 BC. Roughly 300 BC to 200 BC. A short time into the Sassanid period when the magi set down their chronologies. Well, look at that! It's time to get ready for the coming of Aushetar! I know that this table fudges a little bit (or, more accurately bends matters with a heavy hand), particularly by picking the date of ca. AD 400 totally arbitrarily for the time of the construction of this chronology. However, I hasten to add, it's not my table; it's a calculation that critical scholars have invented and then tried to palm off on the defenseless magi of 1600 years ago, so as to lend substance to the notion that the figure of "258 before Alexander" (hereafter: "258 BA") was merely a pious fiction dreamed up by the magi. There's one problem with this chronology, as pointed out by W. B. Henning in his book, Zoroaster: Witchdoctor or Politician? (Henning concluded that "neither" was the right answer). The later magi, who held on to this date so tenaciously, did not know how long the time span of the Seleucid and Parthian kingdoms actually had been. Instead of the five hundred years that we know was the approximate length, their estimates were almost three hundred years less. Thus, this rationalization does not work, and it is the folks who came up with it who have dreamed up a not-so-pious fiction. To get to the bottom line, there is no good explanation for why the figure of 258 years BA has persisted other than that it was a number that had been passed down from generation to generation as the correct number. Even though the magi's chronology was incorrect when it came to other parts of history, they did not let go of that number of 258 years BA. Let this chronological matter stand as one example of how the magi preserved information, even when they no longer understood its meaning. I'm afraid I need to stop here. Next time more about Aushetar and his colleagues and how speculations can lead to more speculations. Well, here goes. The following is a little exposition worthy of a scholar of German origin since it consists of theories built on theories. Well, not quite, since genuine German biblical and theological scholars would not realize (or admit) that they were doing such a thing. In their subculture, theories tend to take on the status of the "assured results of modern scholarship," and hypotheses may become virtual certainties, depending on the reputation of their author. The question concerns the identity of the magi who visited Jesus and acclaimed him to be the King of the Jews. My hypothetical answer is that they very well may have been among those Zoroastrian priests who kept the religion alive during the time of its dormancy because they may have been influenced by exiled Israelites in the area of Media. More specific, and still widely accepted, is the idea that Zoroastrianism, the religion of which the Medan magi were custodians during its time of dormancy, contributed a number of doctrines to Judaism. In the eyes of some people, basically everything worthwhile in Judaism came from Persia. Examples include the doctrines of monotheism, Satan, angels, a judgment and an afterlife, and paradise. The only limitation seems to be the creative imagination of the author. Even otherwise sober scholars, such as R. C. Zaehner, whose book The Dawn and Twilight of Zoroastrianism (Phoenix Press, orig. 1961) is yet to be surpassed as an introduction to Zoroastrianism (Mary Boyce's 2-volume work notwithstanding), repeat this dubious conclusion. This theory, though widely accepted, is not only improbable, but is virtually impossible, as I have demonstrated in Neighboring Faiths, chapter four, and in my article "The Date of Zoroaster: Some Apologetic Considerations." Presbyterion 23/1 (1997): 25-42 . It is actually possible, and not entirely implausible, that the influence worked the other way around. Is it safe to assume that among the so-called ten northern tribes of Israel, who were deported to Assyria there were some who worshiped Yahweh (still or again)? Based on God's message to Elijah, reassuring him that he was not the only believer in the true God in the northern kingdom, I would think so. There would have been some Israelites who had remained true to the religion God had revealed to Moses. Their destination when they went into captivity was in northern Assyria, which became the territory of the Medes, the very area in which Zoroaster was active. Later Zoroastrianism (during the Sassanid period) developed a highly complex eschatology. The basic myth was that Zoroaster's sperm was deposited in a lake, and after each of three periods lasting a thousand years, a young virgin lady would be bathing in it and get impregnated. The offspring would be one of the three prophets, sons of Zoroaster thanks to this early sperm bank, who would revive Zoroaster's teaching. Their names would be Aushetar, Aushetarmah, and Saoshyant. The last of the three would also oversee the highly imaginative final judgment, whose description you can look up in Neighboring Faiths. Now, for my purposes I'm only interested in this basic fact that later Zoroastrianism had a very complex and detailed eschatology. I think that it is plausible to believe that this complex account of future events was preceded by less complex beliefs on the subject. The belief in three future prophets may have been the end result of a developing mythology that began with only one messianic figure. Now let us return to the hypothetical Yahweh-worshiping Israelites. We know the Israelites were there; it is safe to assume that a good number of them were Yahwists, that the practice of their religion would not have gone unnoticed, and that the majority of the members of these "ten lost tribes" apparently did not return to Palestine. For that matter, the idea of some Ephraimites coming up to Ezra and trying to convince him of, well, anything, strikes me as somewhat ludicrous. In any event, all I am doing now is stipulating some events with a probability higher than zero. In fact, I will go so far as to say that it is more likely that Zoroaster became inclined towards monotheism after contact with these expatriate Hebrews than the thesis that Zoroastrianism molded later Judaism. Or, to clarify that calculation, the probability that Zoroastrianism contributed positively to the development of canonical Judaism is negligible. If there was any absorption of ideas by any culture from the other at all (in other words, if we assume that there must have some influence with a probability larger than "0" or "negligible") then it is can only be that the influence went from the Israelites to the Persians, and not vice versa. Of course, this contention requires painting the Israelites and Jews in a different light than was common in the nineteenth century and, sadly, has persisted into the twenty-first. (For a twentieth-century example, see the comment by H.G. Wells below.) That is to say, we need to recognize them as the creative people that they are, bearing a rich religious heritage and constantly contributing to its growth. If we begin with the assumption, still perpetrated by many people, though often implicitly, that the Hebrews were a barbarian set of tribes, made up of illiterate and superstitious people, whose culture only gained worth insofar as they imitated myths and practices from surrounding kingdoms, my hypothesis would not go very far. Still, it is with this sorry and illiterate assumption that the advocates of Persian influence on Judaism have to start, or there's nothing left for them to say. Going one step further now, did the Hebrews already have an expectation of a coming messiah during the eighth century century, the times of deportation of segments of the Norther Kingdom? We can say yes, based on Isaiah's prophecies. Isaiah's ministry ran concurrently with the destruction of the northern kingdom by the Assyrians, and we know that his message included messianic prophecies. So, what I'm establishing here is simply the fact that in the eighth century B.C., the idea of a messiah was already alive in Judaism. So, if there were some Yahweh-worshiping Israelites among the exiles of the ten northern tribes, they may also have maintained the hope of a coming messiah. Furthermore, although Jerusalem was not a part of the northern kingdom, Yahwistic Israelites would have tied their religion to the temple, Jerusalem and Judea. If they were expecting a messiah, the title of "King of the Jews" could have been highly appropriate. Now, I need to be clear on this matter: the expectation of a messiah by the Hebrews got pretty complex as well, though we need not pursue those later developments at this point. Still working with minimal expectations, it is not unreasonable to expect that people in captivity a thousand miles from their home would have nurtured a messianic expectation with particular vigor. The last time that I wrote on this topic, I concluded that the idea of magi looking for a messianic figure (who might later become known as Aushetar or Saoshyant) was highly plausible. What had me stymied was why they would go to Jerusalem and look for a newly-arrived "King of the Jews." However, the possibility that some Yahweh-worshiping messiah-expecting Hebrews might have had some influence on their surrounding Medan population, which would have included magi, could close that gap. These magi may have combined their own eschatology with what they learned from the Israelites, and in that case the idea that they looked for a "proto-Saoshyant" in the guise of a King of the Jews would not be totally outlandish. I was going to give you a few more-or-less unrelated thoughts before I got stuck on the magi one last time. Well, the thoughts couldn't have been totally unrelated. For one thing they came from the same brain. Or should that be from "the same mind"? 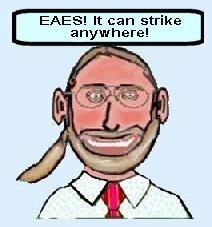 Actually, as a Thomist, who believes in the unity of substances composed of the effects of five causes (material, formal, efficient, final, and exemplar), I don't have to trouble myself with such questions, though I need to be sure that my answers for them are sound, and that I can defend them reasonably. Sorry, I'm digressing here as I'm editing this piece, but doesn't the idea that a human person is one unit to which all aspects contribute ring a bell of deliverance from philosophical sophistry?---Anyway, back to the topic announced in the glossy program booklet that you're nervously rolling up, letting it go flat, rolling it up again, but in the other direction, and so forth. In the course of discussing the magi, I have made reference from time to time to the way in which liberal scholars have re-written Persian history, not to mention the Avesta and the Bible, in order to demonstrate that the Jews picked up most of the doctrines of canonical Judaism from the Zoroastrian Persians during the time of the exile. Please, forgive me for referring to my article on that topic once more, but after a quick look at the facts as I put them together there, you will see that any such theory suffers from a famine of data. Since pursuing that link may make greater demands on you than your time schedule allows, let me give you one example. But first, I need to confess that from time to time I suffer from outbreaks of EAES, or "Evangelical Apologist Embarrassment Syndrome," and I feel an attack coming on tonight. Usually these episodes occur when I am speaking to an audience, presenting the ideas of some non-Christian scholar, and get the feeling that my audience must think that I'm making things up. Or they may suspect that, even if my presentation is not entirely fanciful, I must be grossly exaggerating. They seem to be convinced that nobody really could believe the ideas that I'm attributing to someone, let alone promote them. What can I do? Mary Boyce is a, if not the leading scholar on Zoroastrianism these days. In her interpretation of the influence of Zoroastrianism on Judaism, she draws up the following picture. King Cyrus, who conquered Babylon, was a devoted Zoroastrian, eager to convert others to this faith. The Jewish exiles remained in Babylon for a while, including the person whom we now know only as "Deutero-Isaiah," the second Isaiah, who wrote most of the book of Isaiah from chapter 40 on, in which he celebrated the release of the Jews from captivity. Now, this fictional Deutero-Isaiah had a fairly close relationship with either King Cyrus himself or someone who represented him. This person taught Deutero-Isaiah many of the Zoroastrian doctrines, which D-I then conveyed to his own people. For example, according to Boyce, it was due to this relationship of D-I with Cyrus that the Jews first learned about monotheism, and that God created the world in six days. Let us return to Professor Boyce, the fictional Deutero-Isaiah, and Cyrus (or his representative). Boyce argues that there is good evidence demonstrating that the Hebrew account of the creation of the world in six days is of Zoroastrian derivation. You see, the number six is very important in Zoroastrianism. So is the number one, as well as seven. If you're reading this, chances are high that you are familiar with the model that Christians apply to God, namely that he is a "tri-unity," or "trinity" for short. That does not mean that God is one God in three Gods, or anything else that contradicts basic arithmetic, but that God is one nature (or substance) in three persons. Now, if you substitute the number seven for the three and adjust your vocabulary slightly, you get a picture of Ahura Mazda, God as depicted by Zoroaster. As I understand matters, Zoroaster lived in the sixth century and was a contemporary of Cyrus, who explicitly stated that he was a worshiper of Marduk, the god of Babylon. The picture of Cyrus as a zealous Zoroastrian, intent to convert D-I or anyone else to his faith, has no basis in fact. Far removed from Babylon and the area where Cyrus was active, Zoroaster came along and taught monotheism, but--in contrast to Islam or Judaism--it was not a unitarian monotheism, but a more complex one, just as in Christianity. God is one, and in his unity he is Ahura Mazda--"Exalted Lord." But he also manifests himself in seven different "forms." Just as with the trinity, do not think of these as temporary modalities, but as "subsistences" of God, each of which is the one God. First, there is the Holy Spirit (Spenta Mainyu), who is engaged in perpetual warfare against the Evil Spirit (Angra Mainyu). Then, there are the six Amesha Spentas, the "Holy Immortals." They are sometimes depicted as angels, but they are more than that. I don't like to apply the vocabulary of one religion to another, but in this case it wouldn't hurt if, for a brief moment, you let yourself think of the Amesha Spentas as six "persons," corresponding to the three persons of the trinity. They are sometimes divided into God's "Father side" and his (her?) "Mother side." The foregoing description of Ahura Mazda is true and, if there is such a thing as universal acceptance in such matters, it applies here.I'm saying that to make sure we recognize where the body is buried (so to speak) and don't start digging in the wrong place. In non-metaphorical language, we need to make sure that, if there is a howler, we find it at the proper location. Now, Boyce tells us that each of the six Amesha Spentas are also correlated with various aspects of creation, and I see no reason to question that observation either. It doesn't have much impact on the religion, but somewhere the depiction of the Amesha Spentas includes their association with certain things. However, then she argues that, when one realizes that fact that the Amesha Spentas come in six and are associated with parts of creation, one cannot help but see that they are clearly reflected in the Hebrew accounts of the six days of creation. The belief by the Hebrews that God created the world in six days is a direct result of Deutero-Isaiah learning about the six Amesha Spentas and the Hebrews adapting this teaching into a creation narrative. Look at the following table, and see if you can't make out the obvious similarity between them. So, there you have it: Can you really look at this table and not be overcome by the similarity between the six Amesha Spentas and the six days of creation? Doesn't it give you goose bumps to see such incredible likeness in two cultures? Once you've been exposed to this information, isn't it obvious to you that the Hebrew account of the six days of creation must have been derived from the Zoroastrian belief in the six Amesha Spentas? Me neither. Any further comment would be unnecessary and ungentlemanly piling on. I just wanted you to see a little more specifically what I was talking about when I remarked that contemporary scholarship still attempts to support the notion that the Jews got all their good ideas from the Zoroastrians, and to what impossible lengths they go in order to support an insupportable case. Some people complain that Christian scholarship is not objective. Maybe at times it is not. Maybe, there are time when it should not be "purely objective," if that term means "not being tied to any value judgments or expressions of faith" (which actually would be a poor definition of "objective"). But, please, please, do not think that non-Christian scholarship is objective by default, viz. objective unless in rare cases where it is otherwise exposed. As you have heard from me over and over again, we need to be aware of the fact that for someone whose world view prohibits accepting biblical truth, there are many times when they must soar into irrationality in order to maintain their theories, and so they do, and as Christian scholars we are at times exhorted to gain their approval, even though that would mean lowering one's scholarship to their level. How naive! Just because some people who do not believe in God or the Bible tell each other that they are "objective," does not mean that they are. Vol. 2: Under the Achaemenians (Leiden: E. J. Brill, 1982).